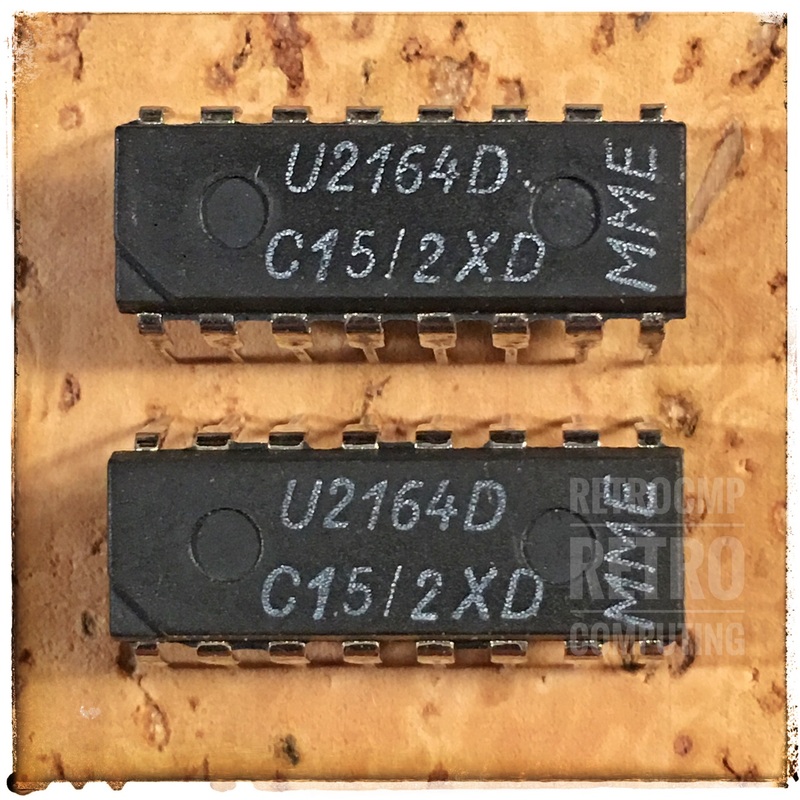 Today 32 Dual In-line Pin (DIP) memory chips of type 4164 (64K by 1 bit) were delivered. They are RAM chips, which were produced in the GDR (German Democratic Republic) in the mid 80s. They have the part number U2164D C15. They are of type 4164 and have an access time of 150 ns, refresh cycles of 128cyle/2ns. I have exchanged two complete banks in my Quadram Short memory card and ... the RAM chips work perfectly. No problems. 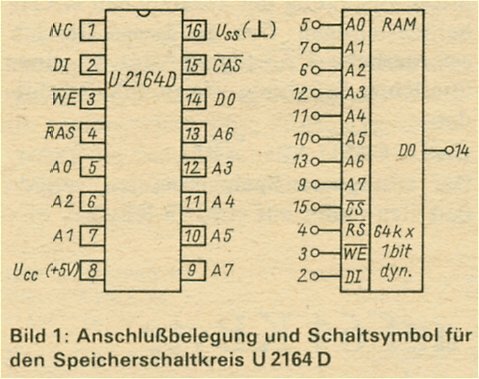 In my opinion, a comparison with the data sheet of the TMS4164, for example, shows no differences. These memory chips are labled MME and were apparently produced in the VEB Kombinat Mikroelektronik Erfurt (KME).